Sinton – Fernando Landeros, Jr. passed away peacefully on March 26, 2019 with his loving family at his side. Fernando was born in Laredo, Texas on November 17, 1940 to Maria Anastacia (Vergara) and Fernando Landeros, Sr. He was a resident of Sinton, Texas and former resident of Chicago. He was a retired steel worker and was formerly employed by Sinton ISD as a bus driver. 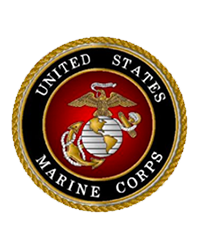 Mr. Landeros served his country in the United States Marine Corps during the Vietnam era. Survivors include his wife: Maria Luisa “Nena” Landeros of Sinton, Texas; sons: Fernando Landeros (Maria) of Valparaiso, IN and Carlos Landeros of Chicago, IL; daughters: Sara Hanawalt (Dean) of Lake Bluff, IL; Rachel Landeros of Hammond, IN; Mary Catherine Landeros of Sinton, Texas and Christina Marie Landeros of Chicago, IL; 10 grandchildren; 1 great-grandchild; 80 foster kids spanning 26 years; sister: Liz Prado of Dallas, Texas; half-brothers and sisters: Carmen Rico, Raquel Martinez, Maria Isabel Prado (Liz), Bernardo Landeros, Eduardo Landeros, David Landeros and Maxima Socorro Landeros (Max). Visitation will be held Friday, March 29, 2019, 5:00 PM to 9:00 PM at Resthaven Funeral Home Chapel, Sinton. A rosary will follow the same evening, 7:00 PM, at the funeral home. The Funeral Mass will be celebrated Saturday, March 30, 2019, 11:00 AM at Our Lady of Guadalupe Church, Sinton.